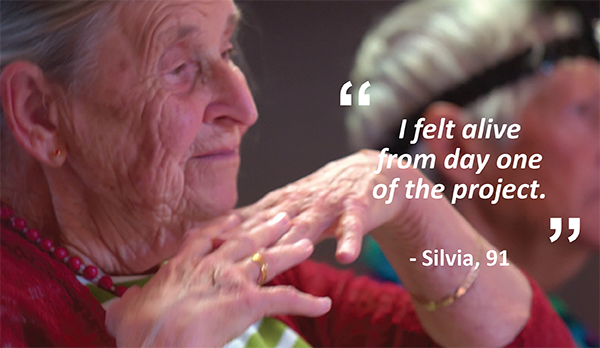 Our Creative Ageing Program, developed over the past three years, is now available to book for your facility. Creative Ageing is a twelve-week workshop program, led by experienced teaching artist and facilitators and incorporates artforms such as music, movement and visual arts. It can be adapted to a four-week program to suit seniors of all ages and abilities living in residential care or independently in the community. No prior experience is necessary. The program also engages people with dementia. We know the health and social benefits of the program can genuinely make a difference to the lives of residents, their families and staff who work with them on a daily basis.